Rudy Ricciotti has become world-famous thanks to his projects related to transitional zones: first of all, they are bridges and cultural centers with transparent lace façades blending in the urban environment and letting this environment inside the buildings. In the works by this poetic master, the city interior is gradually and unnoticeably flowing into the interior of the building, and the bridges link the fragments of the city like interior doors. A contemporary citizen living in the man-made environment perceives the urban space beyond their apartment or office as a relatively natural environment, which is not subject to full human control. There can be snow, rain, not fully domesticated animals, birds and plants in the city space… The works by Ricciotti blur the boundary between a totally artificial environment of the building interior and a city interior, which is only partially artificial. Probably, as the city environment becomes more controlled by man and the longing for naturalness grows, the discoveries made by Rudy Ricciotti will gain more vital importance and demand in our urbanizing world. STANISHEV, Georgi. Rudy Ricciotti: “Architecture in the State of Panic Survival”. 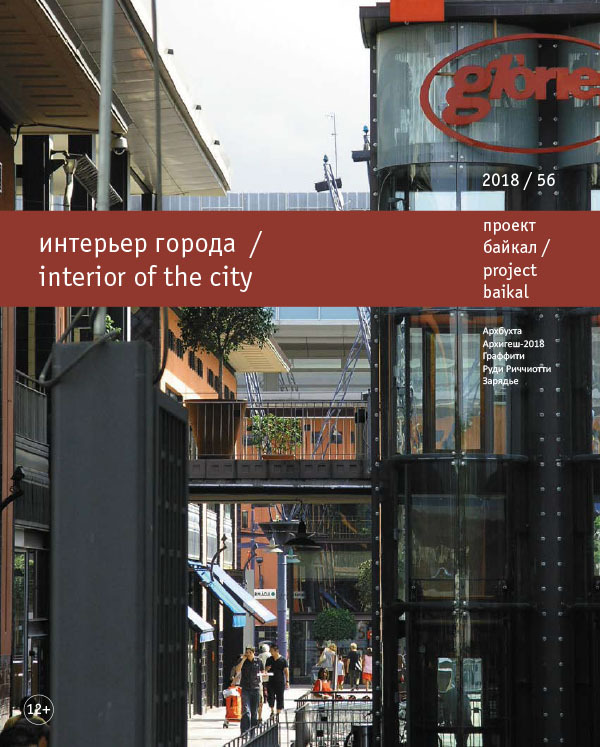 project baikal, Russian Federation, n. 56, p. 122-129, aug. 2018. ISSN 2309-3072. Available at: <http://projectbaikal.com/index.php/pb/article/view/1339>. Date accessed: 24 apr. 2019. doi: https://doi.org/10.7480/projectbaikal.56.1339.